Thread: Whittaker Guns Free Shipping! 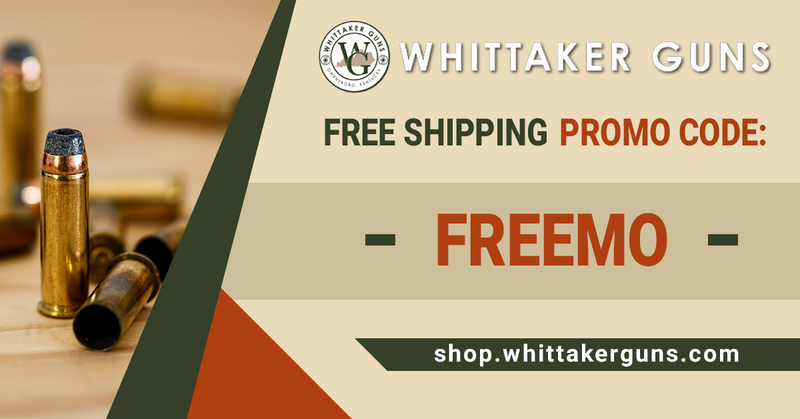 Being new to this forum, Whittaker Guns would like to offer everyone FREE SHIPPING now through August 20th with use of the promo code below! Whittaker Guns has grown to become the largest firearms retailer in the state of Kentucky and one of the largest volume single shop locations in the country. They realized early that fair pricing and a dedication to customer service were essential for success. To keep it simple, Whittaker Guns believes that if you take care of the customer, the customer will take care of you. GrumpyBear, AZsparrow, Mike 338 and 13 others like this. Welcome to MO from Central NY ! Welcome to the forum, from Western,Pa. Whittaker Guns are great people to deal with. And they totally stand behind what they sell. M1Riflenut and WhittakerGuns like this. WELCOME FROM OLYMPIA, WA; IN THE GREAT PACIFIC NORTHWEST - THE "ORIGINAL MARLIN®" (North Haven, CT Rifles) COUNTRY! 2. The American Soldier, Sailor, Airman, Marine, & Coast Guardsman. "Measure twice, cut once"... you can apply that to much in life. I'm a frequent customer and will say that Whittaker Guns is top notch! I'm a LOCAL customer and remember when Darrel opened the business around 1988! Everyone there is super easy to work with and they have some awesome prices on their stuff. My only personal, friendly suggestion would be that they keep a few more of the 'rebate' items in stock for their walk in customers. As an example .... there is a huge Thompson Center Contender and Encore following in Owensboro that is somewhat 'underground'. We like to buy bare frames and are left to order them from specialty companies online. With the TC Arms $75 rebate right now ... we're scrambling to scarf up what we can find! Otherwise ... Whittaker's has everything you need! Last edited by KYMountainman; 07-21-2017 at 12:11 PM. msharley, Golphin and WhittakerGuns like this. Cabela's free shipping for store pick up.